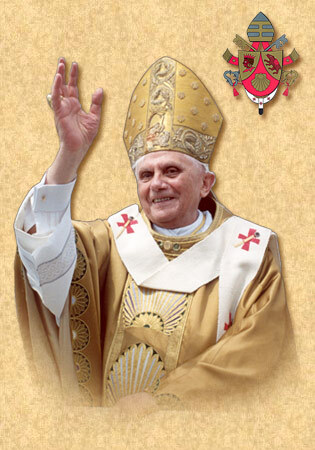 ← Sign the petition thanking Cardinal Burke! Fr. Silveira became pastor in 2013, and his family has deep ties to the parish. Fr. Silveira was born in the Azores. He began seminary education there as a youth, but later he married and had two children. He was ordained as a deacon in 2012, after his wife of 25 years had passed away. He began serving the parish as a deacon, and then he went on to complete his seminary education and was ordained to the priesthood in 2013. The architecture of Five Wounds Church was inspired by the Igreja de Santa Cruz of Braga in Northern Portugal, which was built in the Baroque Mannerist style. 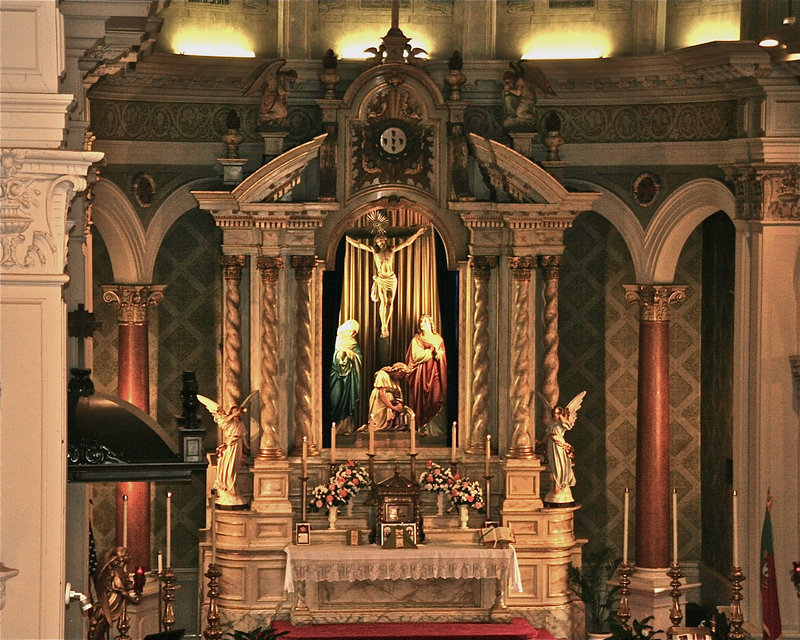 (Five Wounds Church is often mistakenly said to be Manueline or Mission Revival style.) The first Mass in the current church was celebrated on June 28, 1918, and the church was dedicated on July 14, 1919. 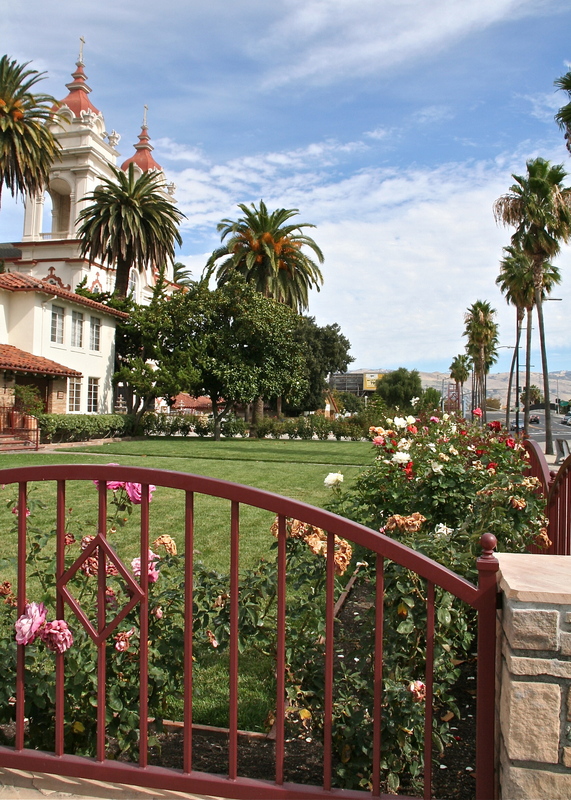 The church is located near the intersection of highway 101 and Santa Clara Street in San José, and its two imposing white towers and facade can be glimpsed from the freeway The impressive church stands out in great contrast against the surrounding low rise architecture and foothills on the northeast side of the city.. The Centennial Mass is part of the celebration of the hundredth anniversary of the parish, and it will be the first Extraordinary Form Mass held under parish auspices since the changes to the liturgy that began during the Second Vatican Council. 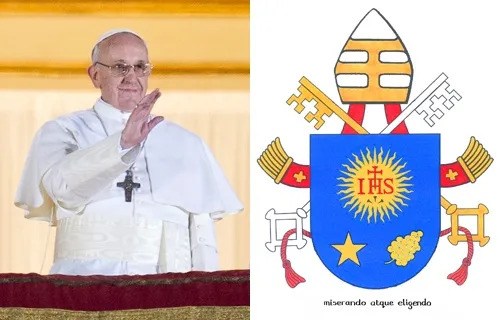 However, Extraordinary Form Masses are already being celebrated in the church almost every day under the direction of rector Canon Raphael Ueda of the Institute of Christ the King Sovereign Priest. 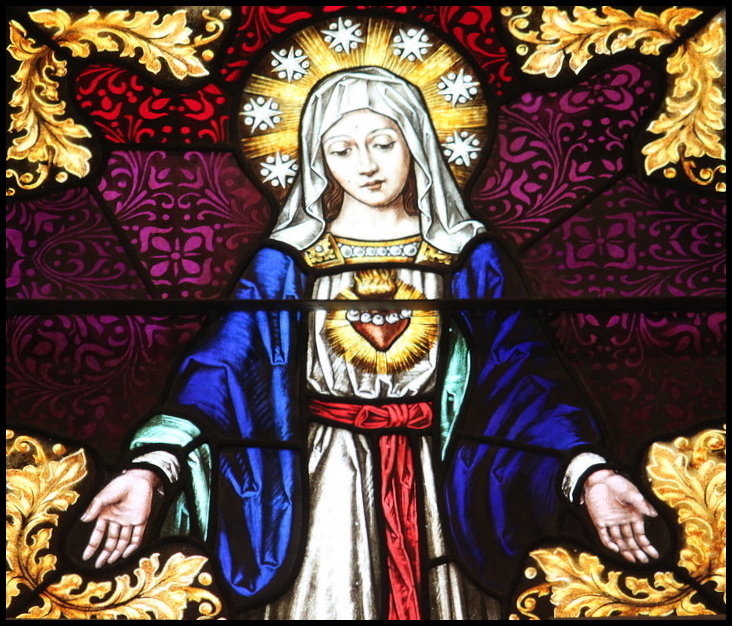 In December of 2013, the church became the home of the new Immaculate Heart of Mary Oratory, which was erected by Bishop Patrick McGrath as the center for the Extraordinary Form and sacraments for the diocese of San Jose. 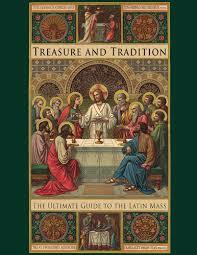 Regular Extraordinary Form Masses are celebrated on Sundays at 12:30 pm and Mondays through Fridays at 12:15 pm. Former pastor Fr. Donald Morgan is expected to attend the Centennial Mass, along with Canon Ueda and Canon Olivier Meney. Fr. Morgan began celebrating Extraordinary Form Masses starting in 2009 while he was pastor at Five Wounds during the period of about a year when the Oratory of Our Mother of Perpetual Help in Santa Clara was permitted to hold a 9:15 Mass at the church every Sunday morning. 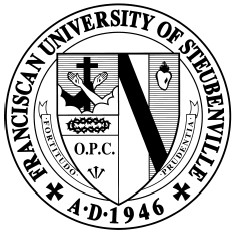 In 2011, Fr. Morgan moved on to another assignment in the diocese, but he has become since then an affiliate of the Institute and continues to celebrate the EF Mass frequently at the Oratory and at St. Margaret Mary Church in Oakland, and other locations, while remaining a diocesan priest. The history of the parish is documented with brilliant photos in a centennial book, A Vestibule to Heaven, authored by Miguel Valle Ávila. 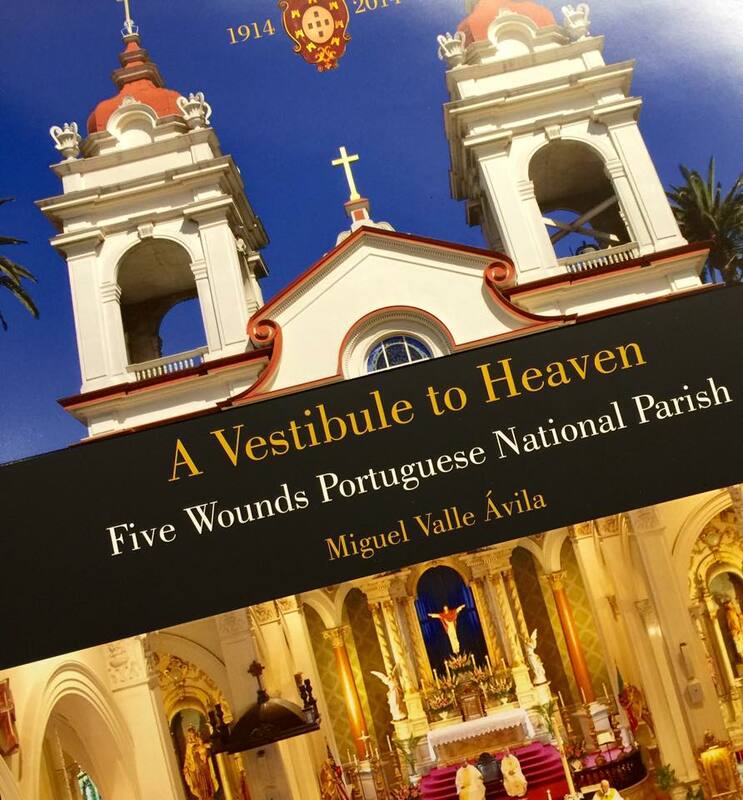 Copies may be purchased at the Portuguese Heritage Publications of California’s website: http://portuguesebooks.org/books/a-vestibule-to-heaven. Traditional Latin Mass celebrating the 100th anniversary of the first Mass at the parish.